Born of wealthy Spanish nobility. Son of Blessed Joan of Aza. Joan had difficulty conceiving, and prayed at the shrine of Saint Dominic of Silos who had a tradition of patronage of that problem; when she became pregnant she named the child Dominic in honour of the Saint. While pregnant, Blessed Joan mother had a vision that her unborn child was a dog who would set the world on fire with a torch it carried in its mouth; a dog with a torch in its mouth became a symbol for the Order which he founded, the Dominicans. At Dominic's baptism, Blessed Joan saw a star shining from his chest, which became another of his symbols in art, and led to his patronage of astronomy. Studied philosophy and theology at the University of Palencia. Priest. Canon of the cathedral of Osma, Spain. Augustinian. Worked for clerical reform. Had a lifelong apostolate among heretics, especially Albigensians, and especially in France. Worked with Blessed Peter of Castelnau. Founded the Order of Friars Preachers (Dominicans) in 1215, a group who live a simple, austere life, and an order of nuns dedicated to the care of young girls. Friend of Saint Amata of Assisi. At one point Dominic became discouraged at the progress of his mission; no matter how much he worked, the heresies remained. But he received a vision from Our Lady who showed him a wreath of roses, representing the rosary. She told him to say the rosary daily, teach it to all who would listen, and eventually the true faith would win out. 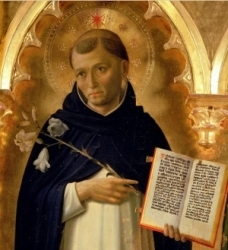 Dominic is often credited with the invention of the rosary; it actually pre-dates him, but he certainly spread devotion to it, and used it to strengthen his own spiritual life. Reported miracle worker who brought four people back from the dead. Legend says that Dominic received a vision of a beggar who, like Dominic, would do great things for the Faith. Dominic met the beggar the next day. He embraced him and said, "You are my companion and must walk with me. If we hold together, no earthly power can withstand us." The beggar was Saint Francis of Assisi. Eldest child of Alexander and Flora MacKillop, poor Scottish emigrants to Australia. Her father had studied for the priesthood, but was never ordained. Mary was educated at private schools and by her father. To help support her family, she worked as a nursery governess and store clerk while still in her teens. Tutor in Melbourne, Australia. Teacher at the Portland School #510 in 1862. Established a "Seminary for Young Ladies" in her home. Known for her holiness, her constant work in the local church, and for turning to prayer before making decisions. Mary felt a call to the religious life, but felt obligated to continue teaching to help support her family. However, a scandal caused by a jealous and corrupt education official gave her reason to leave the school without guilt, and with the backing of her family. Mary and her sister moved to Penola, South Australia. There Mary met Father Julian Tennison Woods with whom she opened a free Catholic school for the poor. 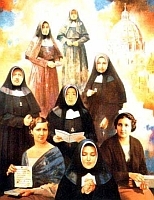 Co-founded the Sisters of Saint Joseph of the Sacred Heart in 1866; it was Australia's first religious order. It had a mission educate poor children in remote areas, and the Sisters received episcopal approval in 1868. Mother Mary soon had seventeen schools under her care. Mary's independence and social ideas concerned Church authorities, and she was ordered by her bishop, who believed some exaggerated stories about the educator, to surrender control of the schools and her Order. She refused, and was excommunicated in 1871. Mary was crushed, but never blamed Church officials; she prayed that some good would come from the action, and she suffered through the. In 1872 her bishop, having determined the baseless nature of the accusations, apologized, and returned Mary to full communion. She visited Pope Blessed Pius IX in 1873, and travelled through England, Ireland and Scotland to seek funds for her schools. Superior-general of her Order in 1875. She travelled from house to house in the Order for the rest of her life, working to improve education for the poor, and general conditions for the Aborigines. She was a prolific correspondent, over 1,000 of Mary's letters have survived. Her order continues its good work today with hundreds of Sisters in Australia, New Zealand, and Peru. Member of the Roman patrician nobility. Adult convert who gave away his wealth to the poor. Deacon. Ministered to the Christian slaves who worked to build and staff the baths of Diocletian. Legend says that Cyriacus exorcised devils from Diocletian's daughter, Artemisia, who along with her mother, Saint Serena, converted to Christianity, and from Jobias the daughter of Shapur, King of Persia, which led to the conversion of the king's family and household. Tortured and martyred with twenty others during the persecutions of Diocletian and Maximian Herculeus. One of the Fourteen Holy Helpers. Studied in Paris, France. Priest. Head of the cathedral school at Paderborn, Germany. Chaplain to Emperor Henry III, and friend of Empress Agnes. While on a pilgrimage to the Holy Lands in 1064, he and 7,000 other travellers were captured by Saracens; only half of the group survived the captivity and returned to their homes. Bishop of Passau, Germany in 1065. Worked for charity to and education of the poor. Trained Saint Leopold the Good. Tried to enforce Pope Gregory VII's rules on simony and celibacy, but corruption was deeply engrained in his diocese, and most of the clergy refused his orders. When he tried to enforce the prohibition on lay investiture, he was banished from the diocese by Henry III. He reported the situation to the Vatican, and was appointed apostolic delegate to Germany. Returned to Passau in 1081, but was quickly driven out again. As best he could, he ruled his diocese from exile, spending his remaining years at the abbey of Gottweig, Austria which he had founded. Wealthy layman in Southwark, England. Father of Blessed Thomas Felton. His wife had been a playmate and maid of honour to Queen Elizabeth, and was the widow of an auditor of the former Queen. John was referred to as "a man of little statue and complexion black". When Pope Saint Pius V's Bull that excommunicated Queen Elizabeth reached London on 24 May 1570, he nailed a copy onto the door of the bishop of London, England in the middle of the night, challenging the bishop to declare his allegiance - the Queen or the Pope. Arrested on 26 May 1570, imprisoned and tortured in the Tower of London for a couple of months, and condemned to death on 4 August 1570. Martyr. Son of a policeman. Studied at the seminary of Valencia, Spain. Priest in the Archdiocese of Valencia, ordained in 1915. Parish priest in the Spanish cities of Calp, Quatretonda, Otos, La Font de la Figuera and Xátiva. When the persecutions of Spanish Civil War began in 1936, Father Antonio's church was burned down in August, and he went into hiding, ministering to covert Catholics, celebrating Mass in homes. He was found by the anti-Catholic militiamen, dragged away from the laymen who tried to protect him, and drove him away for execution. Martyr. Layman farmer and family man as a young adult, and known for his charity. Once a band of thieves broken in on him when he was threshing grain. Myron decided that if they were so hard up for food that they had to resort to robbery, they were poor indeed; he gave them all he could, and helped them load it up. They were so shamed and impressed by his charity that soon they had all converted. Chosen presbyter of Raucia, Crete. Known for his charity and as a miracle worker. Once when the River Triton was at flood stage, Myron caused it to become solid. He walked across it in order to finish his business with his parishioners. As an afterthought he sent a man back to the river to touch it with his staff so it would flow again. Born to a wealthy family, he received minor orders at age 18, and planned for the priesthood. He began to despair of the worldliness of everyone around him, so he gave away his property to the poor and became a pilgrim to Rome, the Holy Lands, and Compostela, Spain where he arrived in 1115. Stayed at Compostela as a hermit for 25 years at San Placido on the River Minho. When the Cistercian abbey of Osera was built nearby, he joined the Order. He later made a second pilgrimage to the Holy Land, dying on the road as he returned. Lifelong lay man in the apostolic vicariate of Southeastern Zhili, China. Farmer. Leader of the local Christians in his village. Tortured and murdered in the persecutions of the Boxer Rebellion for refusing to renounce his faith. Martyr. Layman in the archdiocese of Barcelona, Spain. Married to Trabadelo Malagon in 1902; they eventually had eight children, two of whom entered religious orders. Antero began working for Northern Railways in Barcelona in 1916. He and his wife joined the Lay Dominicans, and worked with the poor and sick in Barcelona. Pilgrim to Lourdes, France. Martyred in the Spanish Civil War. Converted to Christianity in his old age, he brought many others to the faith. Arrested, tortured and executed in the persecutions of Diocletian and governor Lysias. Martyr. Priest in the Archdiocese of Poznan, Poland. Imprisoned, tortured and executed in the persecutions of the Nazis. Martyrs. Founded the Minim Sisters of the Sacred Heart who concentrate on work with young people and the sick. Ministered to the Christian slaves who worked to build and staff the baths of Diocletian. Tortured and martyred with a group of 19 other Christians in the persecutions of Diocletian and Maximian Herculeus. Born to the Persian noblity. He converted to Christianity in his youth. He later refused to apostacize, was stripped of his rank and title by King Varannes, and busted to army camel-driver. When he continued to cling to his faith, he was executed. Martyr. Franciscan friar. Missionary to Palestine. Imprisoned and murdered by Muslims for this work. Martyr. 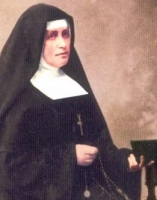 Foundress of the Congregation of the Sisters Servants of Saint Joseph. Benedictine monk. Abbot at Fleury Abbey. 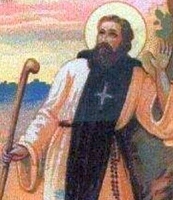 Brought relics of Saint Benedict and Saint Scholastica to Fleury; the abbey was eventually known as Saint-Benoît-sur-Loire because of the relics. Bishop of Milan, Italy for 16 years. Fought the heresy of Eutychianism. Rebuilt the cathedral after its destruction by invading Huns. Ninth century bishop of Cyzicus, Greece. Fought Iconoclasm for which he was exiled in 820 by Emperor Leo the Armenian. Benedictine monk. Founded Fleury Abbey (modern Fleury-Saint-Benoît-sur-Loire) near Orleans, France, c.640, and served as its first abbot. Priest at the monastery of Saint Peter in Crayke, Yorkshire, England. Known as a master of book illumination. Married. Mother of Saint Leodegarius and Saint Warinus. Widow. Nun at the convent in Soissons, France. Lived to see the martyrdom of her sons. Born to the nobility. Priest. Built a church and monastery in Diessen, Germany. Bishop of Besancon, France from 790 to 796. Priest. Missionary to the area of Vienne, France. Four Christians who were martyred together, and about we today know little more than their names - Carpóforo, Secondo, Severiano and Vittorino. Five nuns, all members of the Sisters of the Pious Schools, all teachers, and all martyred together in the Spanish Civil War. Five Christians martyred together; we know nothing else about them but the names - Ciriaco, Crescenziano, Giuliana, Largo, Memmia and Smaragdus.